Our RV Adventures Has Moved! I’ve started the process of moving everything over to the new blog site. If the URL you’re using to access the blog is www.ourrvadventures.com, you will be taken to the new site automagically. If you use the https://ourrvadventures.wordpress.com/ URL it will take you to the old site, but I will have a link there to take you to the new one. Be sure you save that one for use from now on. Unfortunately there is no way to transfer the Email subscription database from the old blog to the new one, so you will have to re-subscribe at the new site. Sorry ‘bout that. About 1:15 Jan and I headed out for a Wal-Mart run, but getting out to the truck we found this waiting for us. Or rather me, since I had to change it. 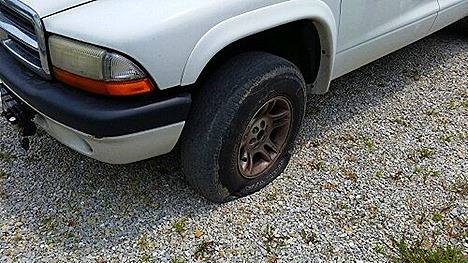 I had the jack out, the tire off, and the spare dropped down in about 15 minutes. Then I spent the next 15 minutes trying to get the spare mounted on the front hub. On this truck the hub doesn’t stick out any further than the lug bolts, so you’ve got nothing to hang the wheel on so you can rotate it into position. And when I tried to use a crowbar to lift it into position, the crowbar kept sinking into the ground instead of lifting the wheel. But finally I had the wheel in place and tighten down, and we were really to go in about 30 minutes. I didn’t rehang the flat tire because I’ve got a plug kit and I’m going to see if I can fix it myself. I didn’t see any obvious punctures, but I’ll air it up and see where the problem it. 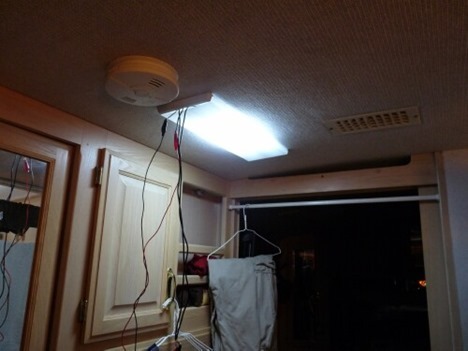 After we got back from Wal-Mart, I completed the install of my LED fluorescent upgrade by finishing up the wiring. The 3 additional sets I ordered should be in on Tuesday, so I’ll do the other lights then. Around 8:30 Nick and Terry came over to check out how the new bulbs looked at night. Nick’s thinking about changing over some of his fluorescents too. Ignorance can be cured by education, but stupid is forever. Readers of both this blog and Nick Russell’s Gypsy Journal Blog may have noticed that we both had the same blog title yesterday. Nick and I just chalked it up to ‘Great Minds Think Alike.” Or at least that’s our story and we’re sticking with it. 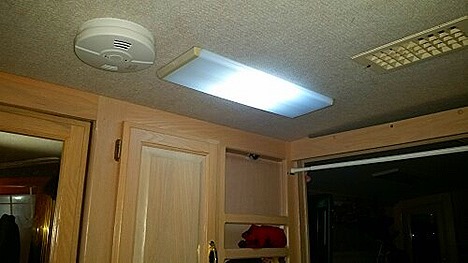 Thanks to my friend Ed Hurlburt of the RV Tips section of Facebook, I found out about these really neat LED lights. 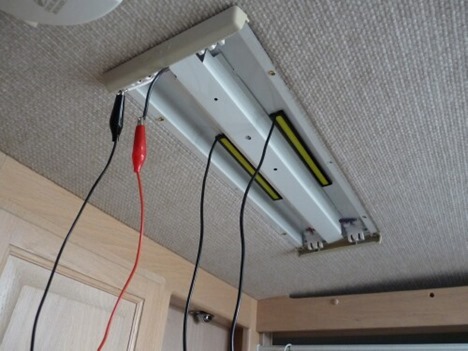 Ed has had good luck using them to replace the small T8 fluorescents in his RV, so I thought I’d give them a try. So if you want to buy a set for your RV, you can get them for a little over $21.00. 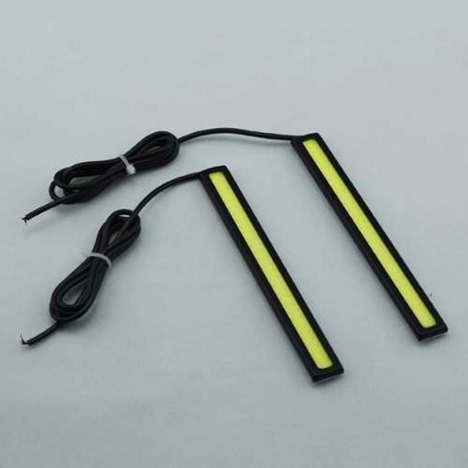 But I you want to buy them to use as running lights for your vehicle, you can get them here for a little under $10.00. Wink, wink. But I decided to check out Amazon and found them here. When I ordered a set on Tuesday, they had 6 left. When I went to order more today, they had 3 left. So I ordered all 3 since that’s how many more sets I needed. When I ordered the set on Tuesday, they were $7.99 with Prime Free Shipping. But when I went to order today, they had jumped to $8.99. But now the Amazon ad says they’re out of stock from this supplier. But I found a bunch of other Amazon sources, some slightly more expensive, and some with Prime Shipping. Using the set I got in yesterday, I thought I’d just do a trial installation to see how they worked. I started by removing the diffuser cover and the two F15T8 bulbs. 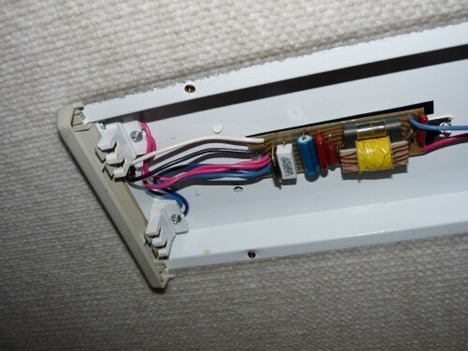 Next, to get to the 12v wiring, I squeezed the center metal cover together until it was released from the clips. The circuit board is the ballast that takes the 12v and steps it up to the voltage needed for the F15T8 bulb. 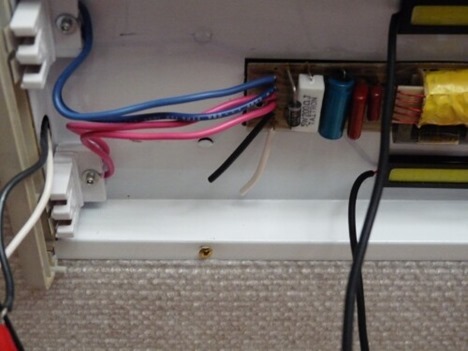 The black and white wires are the 12 volts coming in to the fixture. Be careful though fooling around with these lights. 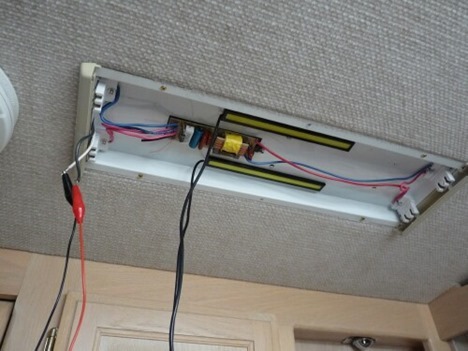 Although there is only 12v coming to the fixture, the ballast puts out several hundred volts when you first turn it on, and then settles down to about 100 volts while the light is on. 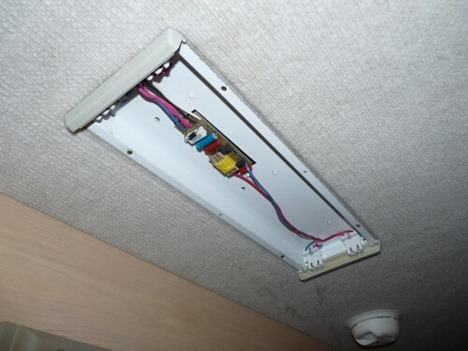 The LED lights have a peel-off adhesive strip on the back so I stuck them to the top of the fixture. I next put the center ballast cover back in place to protect the ballast, and also to help reflect the light out. Here’s what the bathroom looks like without the light. And here’s what it looks like turned on. Compared to the F15T8 bulbs I’m replacing, the LED light put pit anywhere from 50% more light to more than double, at about 1/2 the wattage. 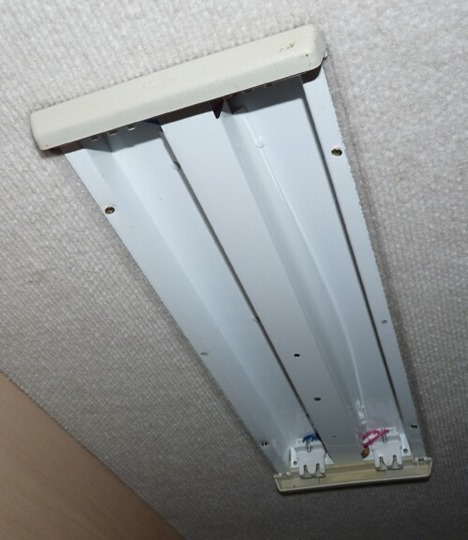 For example, a Cool White F15T8 bulb puts about 825 lumens, consuming about 15 watts And a Daylight F15T8 bulb puts out about 700 lumens for the same 15 watts. Although the specs on the LED lights call them Cool White, they’re not. 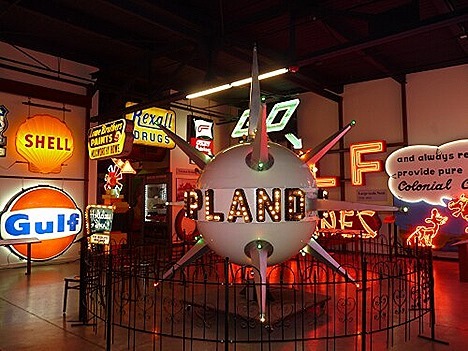 Cool White bulbs have a color temperature of about 4000K. 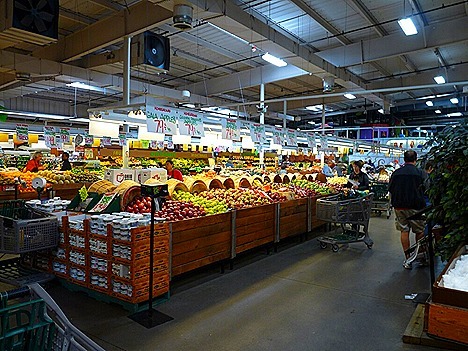 The LED’s have a color temperature of 6000K, making it a Daylight light source. 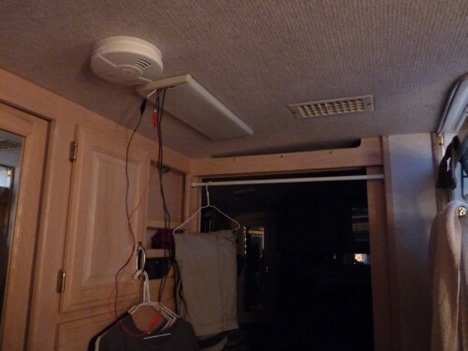 Also the LED lights put out anywhere from 1000 lumens to 1500 lumens, depending on the voltage range. ( i.e. 12.6 volts to 13.6) using about 6 – 10 watts. And they’re waterproof, for that additional light in the shower. I’ll probably go in tomorrow and finish up the wiring. I’ll let you know how they work out. A little before 5pm we all headed out for one more try to have dinner at the Sherman House Restaurant. And this time we were successful. One of things we’ve enjoyed so much in the past was their excellent German dishes. But now, no Sauerbraten, no Jaeger Schnitzel, and no Red Cabbage. Bummer. But we all ended up enjoying our meals anyway. So it was all good. Jan had the Fried Chicken, I had the Apple Roasted Pork Tenderloin, Nick had the Shrimp Alfredo, and Terry had the Chicken Robere, a sautéed chicken breast on a bed of spinach, and covered with a mushroom burgundy sauce and melted provolone cheese. Everyone really enjoyed what they had, and the service was very good too. We’ll go back. Today was a “Play Tourist Day”, so we all left the park about 11, heading for Cincinnati, about 40 miles away. Our first stop was supposed to be the National Underground Railroad Freedom Center , but before we could get there we got stuck in Cincinnati Reds game day traffic, and traveled about 100 feet in 45 minutes. 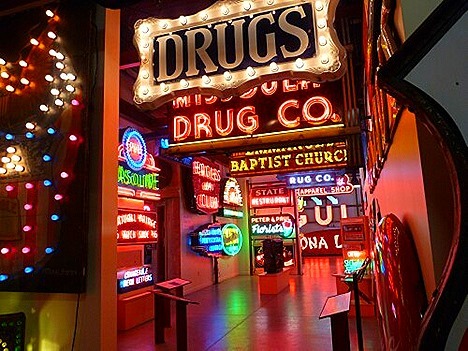 So we changed our plans and headed across town to the American Sign Museum. Sounds kind of boring, right? But it was anything but. 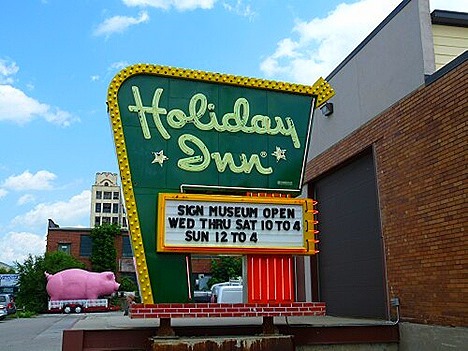 Starting outside with the classic Holiday Inn sign welcoming you. I’m not sure what the Big Pink Pig represents. Maybe a BBQ place? 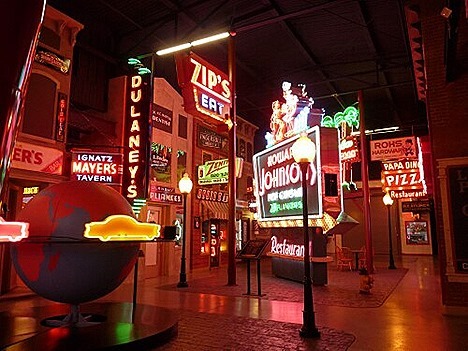 Much of the museum is in a city street layout with individual storefronts showing off store signs. And, of course, McDonald’s. 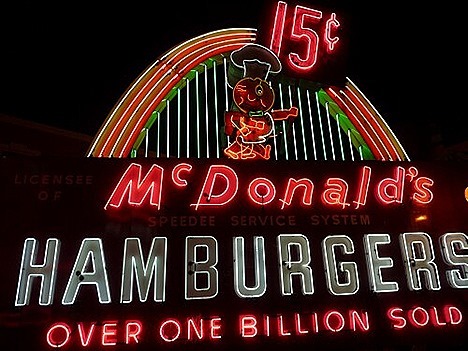 You can tell how old this sign is by the 15 cent hamburger price. And based on the ‘Over One Billion Sold’, it’s from 1963-64. Note that these are full size signs, about 30 feet tall. This small sign in a window was one of Jan’s favorites. 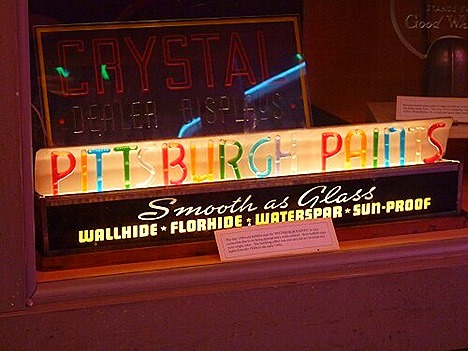 The letters are actually ‘Bubble Light’s’ like the Christmas Tree ornaments. 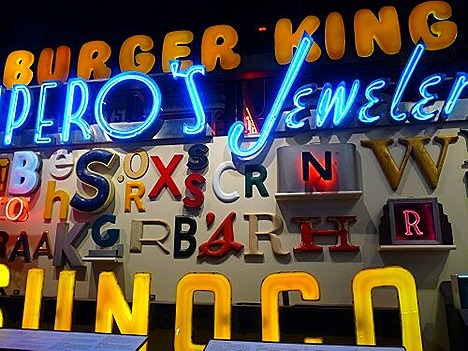 And this is a really interesting display of 3 dimension letters. 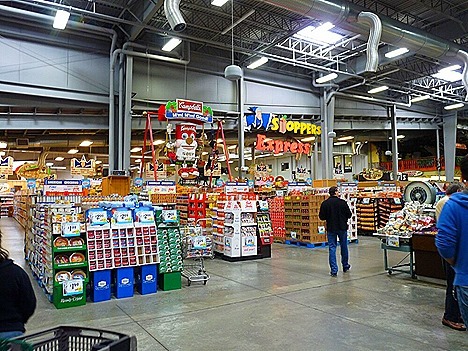 After our very enjoyable visit to the Sign Museum, we headed off for a stop at Jungle Jim’s Market, a really neat grocery store we had visited twice before. But not knowing there were actually two of them in Cincinnati, we ended up at the smaller one. So since it was on the way back to the park anyway, we went on around the 275 loop to the big one. 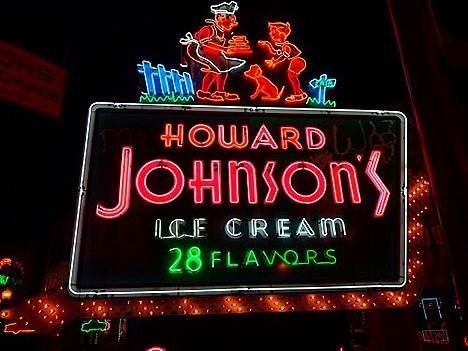 If you’ve never been here, it’s hard to imagine. They even have maps to help you find your way around. Pretty much any kind of vegetable, fruit, cheese, meat, etc. that you’ve ever heard of, they have it. They even have about 40 different types of olives. 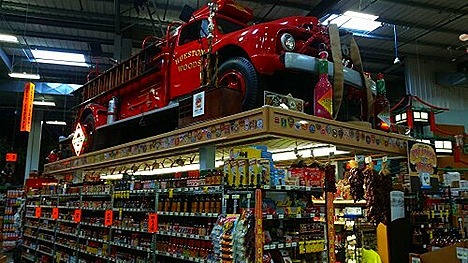 And they have a firetruck atop their display of what must be every kind on hot sauce ever made. Finally leaving Jungle Jim’s, we stopped off and had dinner at a nearby Uno’s Chicago Grill & Pizzeria, a place we ate at two years ago when we were last in the area. Just as good this time. Tomorrow looks to be a goof-off day. Yes! "Posterity! you will never know how much it cost the present generation to preserve your freedom! 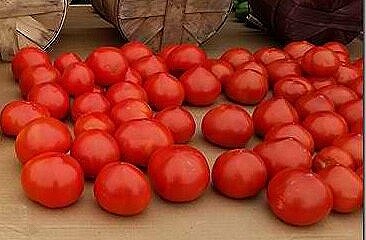 I hope you will make a good use of it. If you do not, I shall repent in Heaven that I ever took half the pains to preserve it." Saw this video online and now Mister wants one of his own. A few days ago I posted this amazing video of a quadcopter drone flying around and through a fireworks show. Here it is again if you missed it. It was done in West Palm Beach, FL, but as I thought it wasn’t this past 4th of July, but back in May during West Palm Beach’s Sunfest..
And now the pilot is being investigating by the FAA because in flying through the fireworks, he may have flown too close to the airport. Of course the question is, how many planes would be flying through the fireworks, anyway, since the airspace had already been cleared for the show. And it sounds like the guy lives in South Africa, anyway. A little before 5 we headed out with Nick and Terry to have dinner at the Sherman House Restaurant in Batesville. We had hoped to eat here on Monday when we got to the park, but they’re closed on Mondays, so we went Mexican. The Sherman House has been around since 1852 and has a great menu, including a lot of German specialties, as well as a really good salad bar. So we were really looking forward to it tonight. So we decided to try the nearby Chinese Buffet that had pretty good reviews. THEY WERE WRONG! And I’m not going to say anymore about it. We even tried to save the evening with a stop at Dairy Queen on the way home, and they got a coup;le of our orders wrong. Maybe we should have just stayed home. 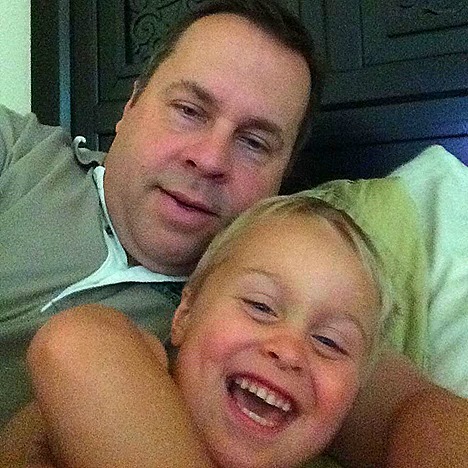 Got this picture today of Landon and his daddy, Lowell. Really looking forward to seeing them in August. Tomorrow we’re going into Cincinnati to see some sights. We got a call this afternoon from Diane with Gate Guard Services. She wanted to know where we were because she has our home address in Friendswood, TX. Before I told her we were in Indiana, she said she had a gate for us. It’s a 12 hour gate over in Sugarland, only about 30 miles from Chris, Linda, and Piper, and about 15 miles from Brandi, Lowell, and Landon. And did I mention it’s a 12 hour gate! Really hated to tell her we were up in Indiana, but I did tell her we expected to be ready for a gate the end of August, if she wanted to hold this one for us. Hopefully there’ll still be a gate like this when we’re ready. For lunch Jan fixed pimento cheese sandwiches using some of the beautiful tomatoes we got last week at E & S Sales, the Amish bulk food place, over in Shipshewana. Not only are they beautiful, but biting into one the flavor just explodes in your mouth. Much better than store-bought. Just wish we’d bought more. I spent most of the afternoon playing around with my Samsung Galaxy S5. One problem I found was that some programs that I liked and a few that I liked AND had paid for, on my old phone, were no longer available, I guess because the companies were no longer in business. This meant that I couldn’t download them to my new S5, but a little Googling led me to an app called ‘apk extractor’, ‘apk’ being the Android program format. This program would bundle up the selected app and save it to the old phone’s SD card. It could then be transferred to the new phone and installed. So I needed to first install the ‘apk extractor’ on my old Samsung Droid Charge. Of course my old phone was no longer able to download apps over the 4G phone system. But as I had hoped, I could still download apps through the Wi-Fi on the phone. After downloading and running the ‘apk extractor’, I selected a number of programs to extract and transfer. Getting the programs to my S5, I installed them one by one. The only problem I found was that a couple of the apps would not run under the new version of Android software that the S5 runs, but all in all, it was a good solution to the problem. For dinner, Jan heated up the leftover King Wha from the other night. Still very good, especially when spiced up with Sriracha and then sprinkled with Chow Mein noodles. Then a little later, Nick came over with a plate of Miss Terri’s delicious Meat Pasties. Sounds like lunch tomorrow. People who do not study history are destined to believe really ignorant statements. Not the song. No, that’s what Jan said as she was looking out her new windshield with no cracks, no Gorilla Tape holding things together, and no wind whistling around the edges. Just clean, clear glass. On yesterday’s blog I mentioned getting some Diesel Kleen to use with our diesel fill-up today on our way to the Indian Lakes Thousand Trails down in Batesville, IN. Here’s what I had to say about it when we were gate guarding in July, 2012. A few days ago I was talking with one of the drivers for Macro Trucking, one of the big haulers in this area for the rigs. They have over 600 semi’s, and we get 3 or 4 a day in here. The driver told me about Power Service Diesel Kleen with Cetane Boost. He said the company had started using it in all their trucks about 9 months ago, after doing a six month trial run on about 50 of them. He said they were getting a solid 5-6% increase in mileage, along with cleaner injectors. So I’ve used it every 3rd fill-up or so ever since. Can I tell you that my mileage has increased, or my injectors are cleaner? No, it’s pretty much impossible to really see an MPG change with the varied routes and conditions we drive under. And I haven’t had my injectors looked at since I started using Diesel Kleen, or before, for that matter. But we just hit 127,000 miles on our coach today, about 65,000 miles of it from our travels, and except for a bad fuel line sensor a couple of years ago, we’ve had no engine problems in our 7 years of travels. 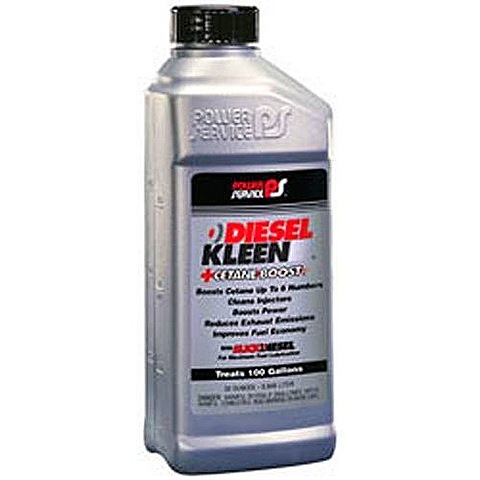 One reader asked if Diesel Kleen was approved by Cummins Diesel. I don’t know, but I kind of doubt it. The manufacturers can’t test every additive, and every combination of additives that you might use. But I’m pretty sure all these trucking companies wouldn’t be using Diesel Kleen if they didn’t think it worked, or that it would harm their engines. Along with Nick and Terry Russell, we pulled out of the Elkhart Campground about 10am this morning heading for Indian Lakes about 245 miles away. But our first stop was the Pilot in Plymouth, IN about 50 miles away. When I went to use my Pilot RV Plus card at the pump, it wouldn’t take it and said to ‘See Cashier Inside’. When I went inside and the cashier ran my card, it said it was ‘Inactive’. It’s been a couple of months since I used it, but I’ve gone longer than two months before, with no problems, so I called the number on the card, and the guy said the computer does that sometimes. He reset it and I was good to go in just a couple of minutes. After a little rain, and a bunch of construction, (but no real slowdowns) we got into the Indian Lakes Thousand Trails about 3pm, and then got signed in, got parked, and got set up. Their salsa was really good, fresh made and chunky, and Jan and I both enjoyed our meals, but unfortunately,Terry wasn’t real happy with hers. Nick had Fried Shrimp, and he cleaned his plate so I guess he was happy too. Tomorrow is a goof-off day. Yah!